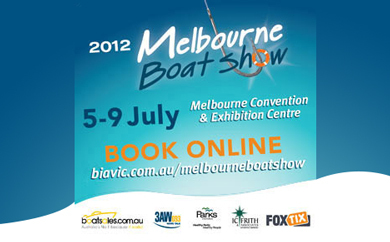 Savwinch will be exhibiting for the second time at the upcoming Melbourne Boat Show. After much success in 2011 Savwinch will be displaying and selling their all- Australian made winches at the show once again. But with an extended product range, upsized motors and electric boxes to suit each size winch which reduces installation time or as a do-it-yourself kit. More exciting news is the first time launch at the 2012 Melbourne Boat Show of our WORLD FIRST patent pending Electronic fast fall (EFF) system. Falling as fast a free fall system, this variable speed winch is clutch free. If you have a Savwinch already you may want to check out our fast fall system and increase the speed of your existing winch. Or come and purchase a Savwinch for the first time and buy direct from the wholesaler at show special prices. So come and see us at Stand A54 throughout the show.